Communication in the supply chain is crucial for the smooth functioning of the whole supply chain—raising its value and developing a competitive advantage. 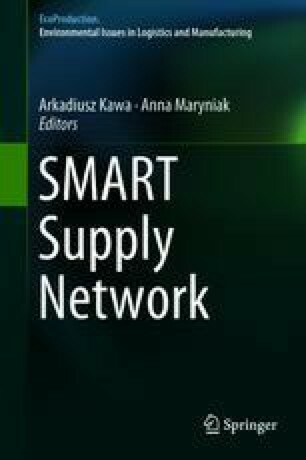 The main goal of the article is to show the role of information flows and knowledge exchange for the creation of green supply chains. In her deliberations, the authoress refers to the literature review, to selected case studies and also to her own research carried out on innovative startup projects. Green supply chain management waste reduction, sustainability and growth. (2015). On-line access: February 12, 2018. aventageconsulting.com/services/green-supply-chain/. Murray, M. (2017). Introduction to the green supply chain. The balance, on-line access: https://www.thebalance.com/introduction-to-the-green-supply-chain-2221084. What is green supply chain management? On-line access: February 13, 2018. aims.education/supply-chain-blog/green-supply-chains-management/. Kowalska, K. (2016). Wymiana wiedzy w organizacji – jak utrzymać wiedzę i nie tracić milionów?. February 5, 2018. https://emplo.pl/blog/wymiana-wiedzy-organizacji-utrzymac-wiedze-tracic-milionow. Green supply chain news: Tesla draws interest with new electric trucks, but many raise doubts it can work. (2017). On-line access: February 13, 2018. http://thegreensupplychain.com/news/17-11-27-1.php?cid=13362. Perella, M. (2017). Extended producer responsibility: The answer to cutting waste in the UK? The Guardian Lab. On-line access: February 12, 2018. www.theguardian.com/suez-circular-economy-zone/2017/may/10/extended-producer-responsibility-the-answer-to-cutting-waste-in-the-uk. Ford motor company keeps pushing the green envelop, as it continues to expand use of recycled materials inside its cars. (2013). On-line access: February 12, 2018. www.thegreensupplychain.com/news/13-05-20-1.php?cid=7093. Sureephong, P., Chakpitak, N., Buzon, L., Bouras, A. (2008). Cluster development and knowledge exchange in supply chain. arXiv preprint arXiv:0806.0519.